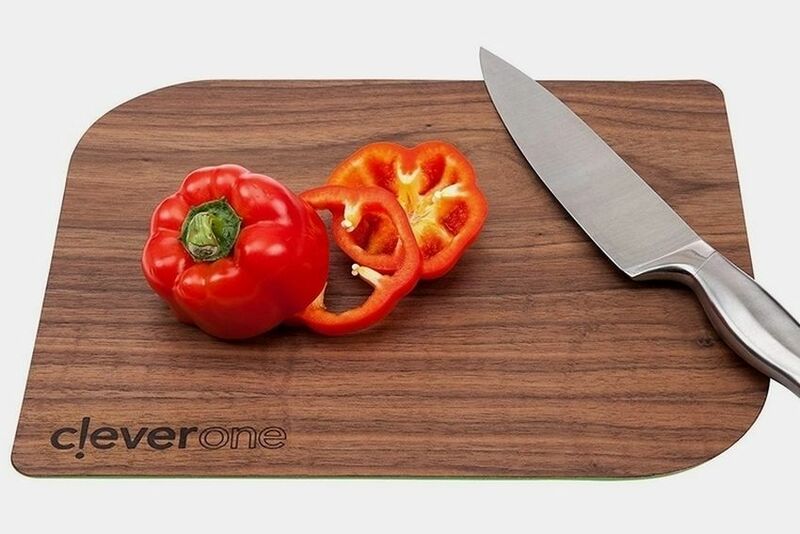 Usually, hardboard cutting boards are slippery (due to their hard surface) and they also make your kitchen counter messy when you try to transfer chopped ingredients into a bowl. 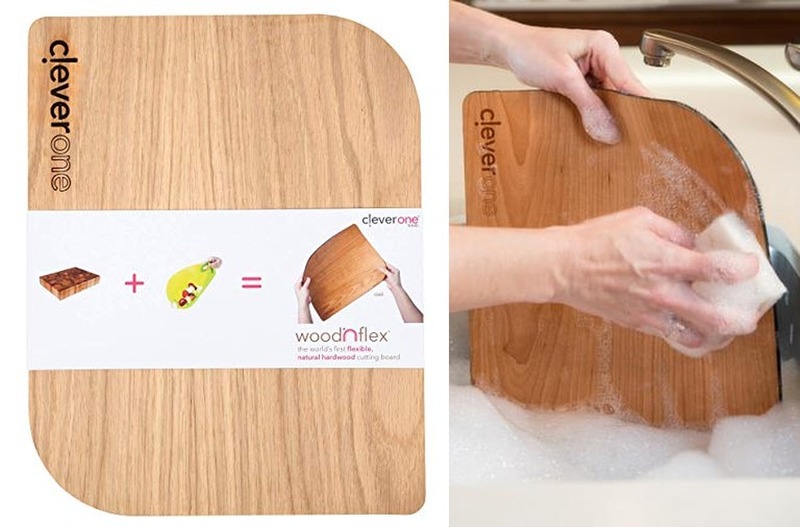 But CleverOne woodNflex Flexible Wood Cutting Board is designed to make things easier in the kitchen. 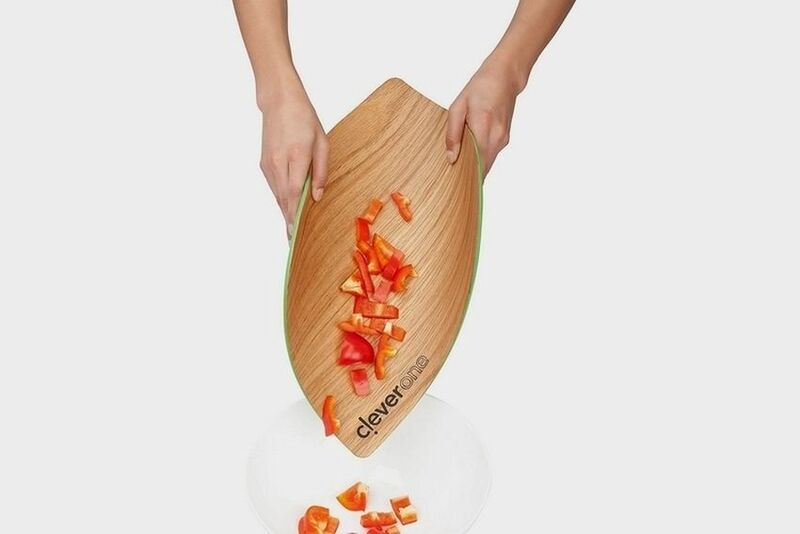 Its flexible design allows the chopping board to roll up (like a silicone board) to a semi-circular shape, making it easy to pour sliced ingredients into a bowl in a controlled manner, unlike a flat surfaced cutting board. 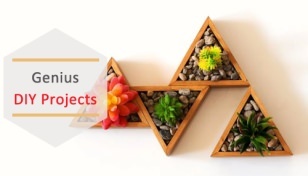 Whether you’re dicing vegetables, slicing a slab of pork into small pieces, or chopping some fresh herbs, this versatile kitchen accessory allows you to keep everything in place when moving the contents to a new container. 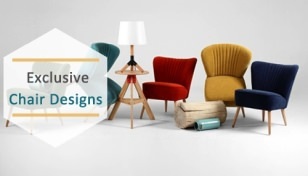 The actual hardwood has not been used, instead, multiple layers of wood veneer are used to give it warm wooden appearance without the stiffness. The wooden design is paired with a food-grade silicone that behaves as a firm base and doesn’t even slip on the wet countertop surface. 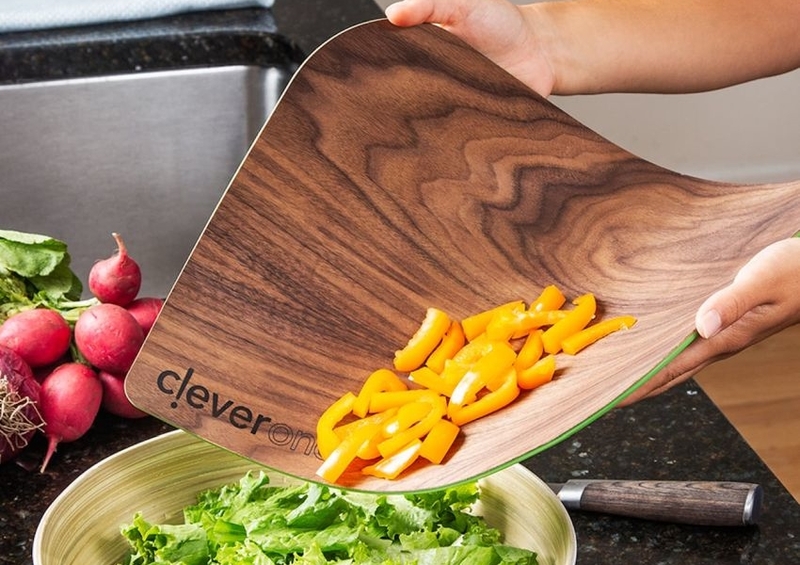 This silicone base also allows you to turn it over and serve as a functional trivet for pots and pans moved straight out of the stovetop. 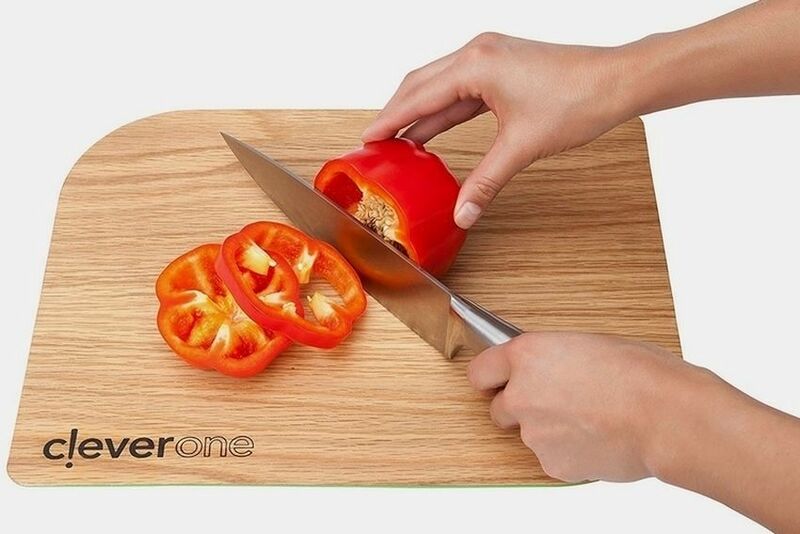 Measuring 14 x 11-inches, this multifunctional cutting board offers you enough space to chop multiple food items at a time. 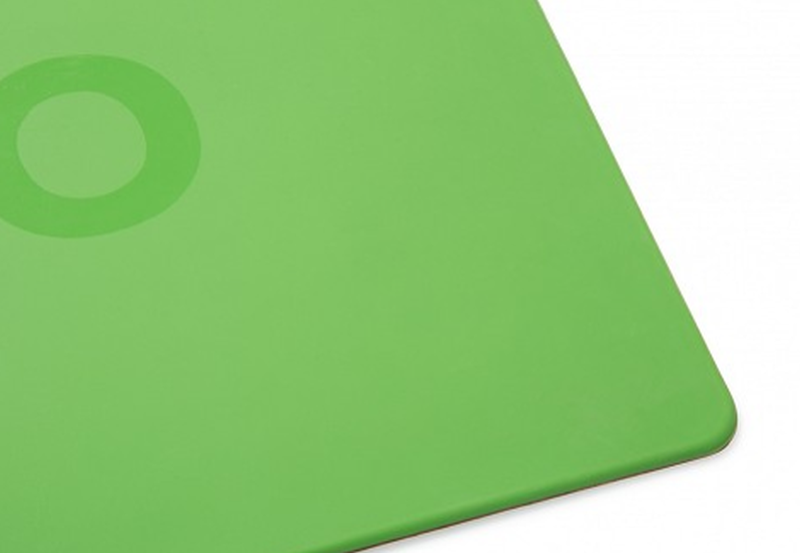 It is only 8-inch thick, which means it can easily be stored in a drawer without taking up much room. Moreover, it weighs just 1.5 pounds, so you won’t require much hand strength when picking it up or when cleaning it after use. 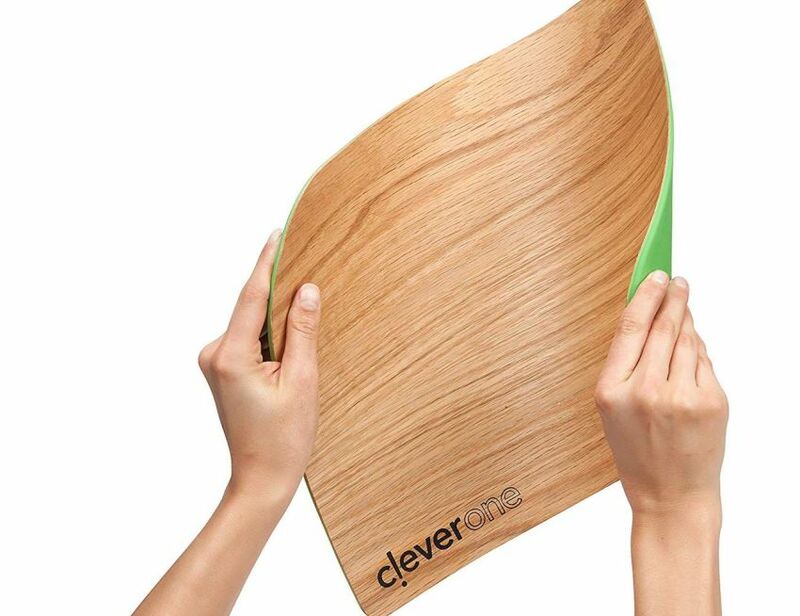 The CleverOne woodNflex comes in either oak or walnut finish. 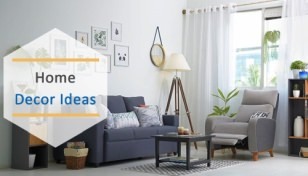 You can pick the former if you like light woody shade, or pick the latter, in case, you like darker wood shade. However, you need to be a little careful while cleaning. 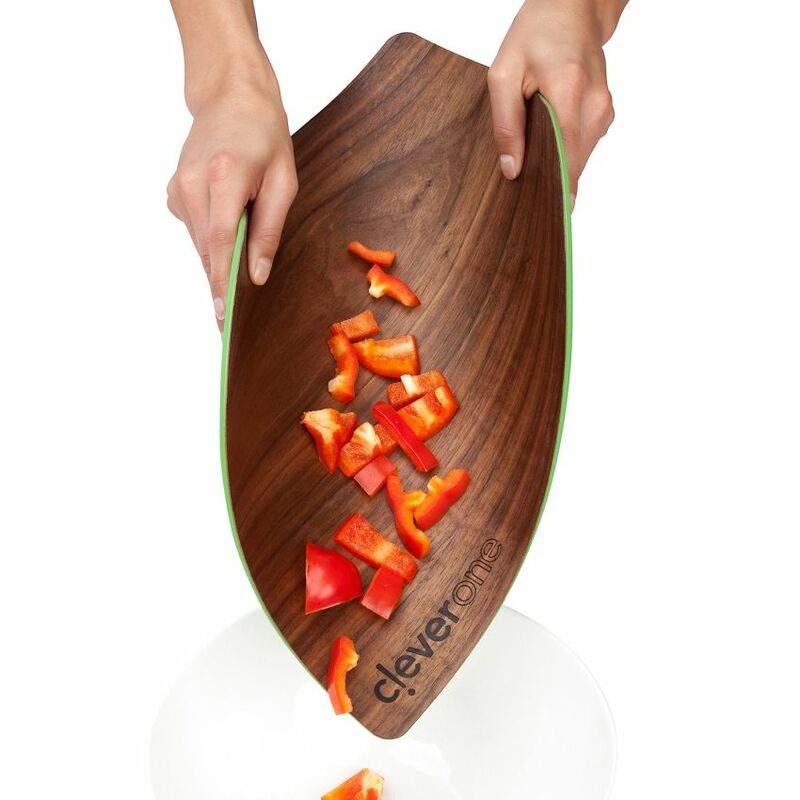 Due to its wooden top surface, it is not dishwasher-safe. You can only clean it with a sponge and a detergent in a sink. 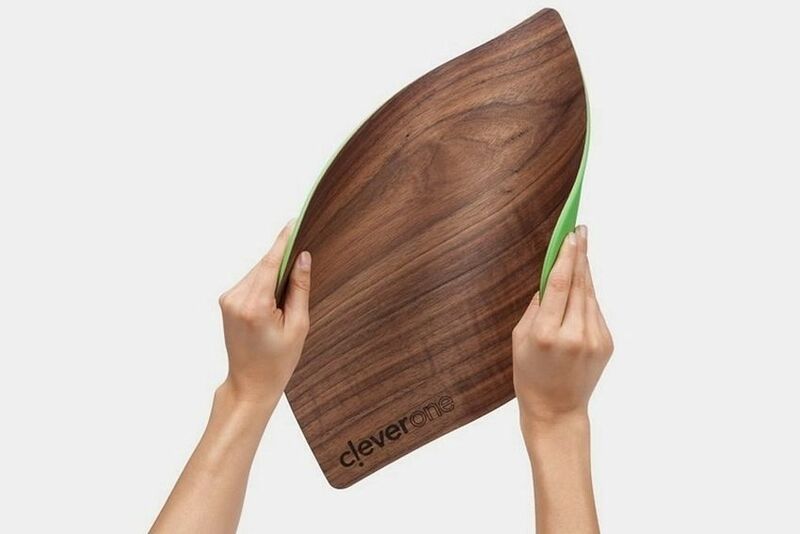 If you like this flexible cutting board and its functioning, you can purchase it from CleverOne’s website for US $39.99.